Solid Color,Elastic waist,side pockets design,Patchwork Pull on lantern pants,Summer Cropped linen Pants. STYLE & COMFORT: Pull-On Style with Faux fly zipper (zipperless) beautiful elegant button detail on front waist, elasticized comfortable waistband for extreme comfort. 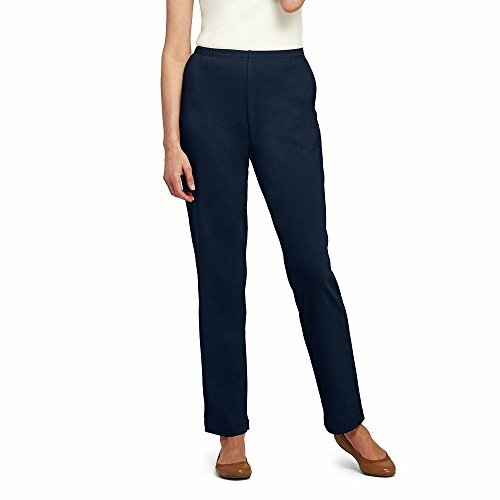 VERSATILE: Wear these Capris all day, these Capri Pants are the perfect bottoms that will compliment your look wherever you decide to wear them from Work to the office or on any casual or out going occasion. DETAILS & CARE: Stylish professional look with front and back pressed creases. The material is 65% Rayon, 32% Nylon and 3% Spandex which gives the pants a perfect stretch, Easy Care Machine Wash, Hang to Dry. COLORS & SIZES: Our Velucci basic and fashionable Capri Pants come in a large variety of colors to choose from like Black Navy Red Coral Orchid Green and many more. In Sizes we carry 5 sizes From Small To XXL see description below for full sizing details. ESSENTIAL PIECE FOR EVERY WARDROBE: These Capris have a high classic design and it is an essential piece for every woman to add to thier wardrobe, no matter their age or style.